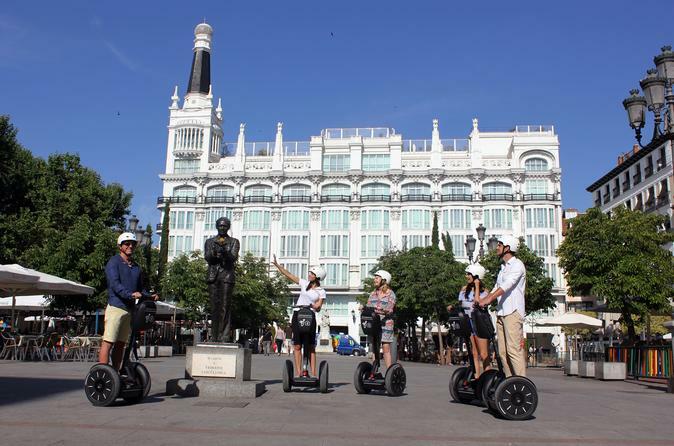 Breeze through Madrid on this 2- or 3-hour Segway sightseeing tour. Choose two hours, and head to the city center, which has been Spain’s center of power since several hundred years and is the capital’s most important district for history and culture. The 3-hour tour leads you to the Paseo de Prado, with its world-famous museums and urban park, El Retiro. Accompanied by a knowledgeable guide, you will visit major sights such as the Plaza Mayor, the royal palace, and the San Miguel food market. After a brief orientation to your Segway mobile, you’ll be prepared to jet off through Madrid with your guide. See the city’s best sites in a fun and efficient way. Choose from two options outlined in the Itinerary section.